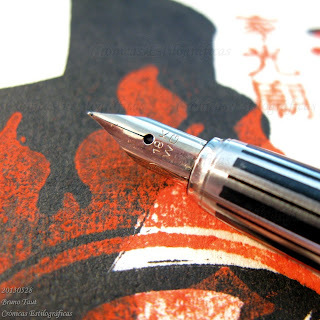 It seems now that Pilot has completed its catalog of Iroshizuku inks, this big success for the Japanese company given the unanimous praising comments on blogs and fora, and despite the ridiculous princes in many a market. Ink, pen, and paper: 21 of the 24 Iroshizuku inks ready to be tested at a department store in Tokyo. Edo-murasaki (江戸紫), Edo purple. Obviously, a purple color. Shimbashi-iro (新橋色), Shimbashi color. A turquoise. Fukagawa-nezu (深川鼠), Fukagawa mouse. A greenish grey. 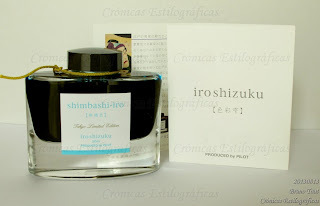 The brochure of the Tokyo Limited Edition of Iroshizuku inks. They were available at some shops in Tokyo, and there might still be some available inkwells. 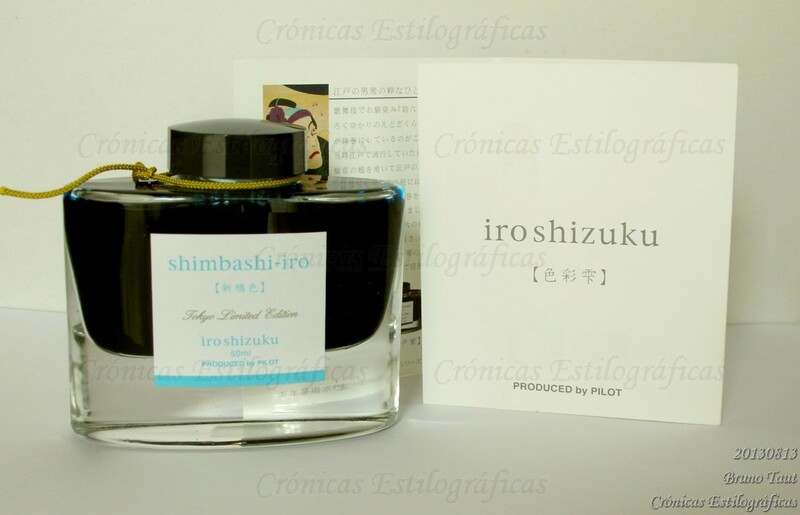 The price was the same as the rest of the Iroshizuku inks—JPY 1500, plus tax. Inkwell of one of the Tokyo Limted Edition inks--the Shimbashi color. The important question, however, is a different one—now that the Iroshizuku catalog is completed, will Pilot release more limited edition colors? The ink market in Japan looks surprisingly quiet. Edo seems great and Fukagawa looks like Montblanc Jonathan Swift. By the way, distributor company brought four colors (just four and not including yama-budo for instance) to Turkey for 50-60 USD!!!! That is supply and demand, dear "write to me often", combined with the very protective laws on imports in Turkey. 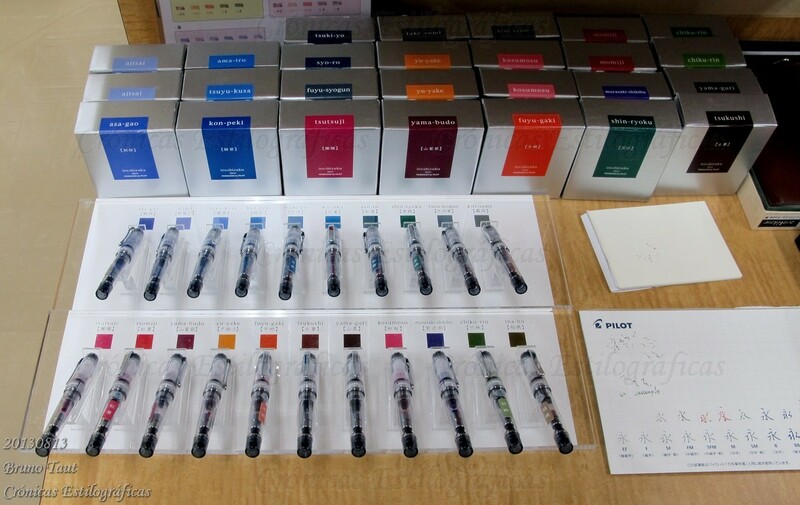 Now, inks are not that expensive and you could order them from overseas. They would hardly go over the legal limit on imports.